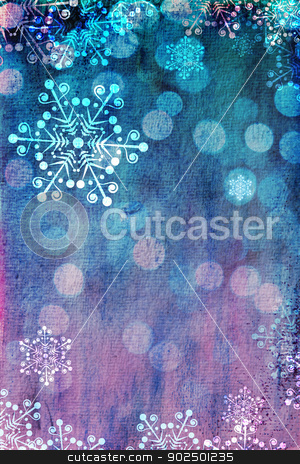 Christmas card with snowflakes against blue and pink bokeh background. Plenty of copy space. Hand-painted elements with digital elements. Watercolour texture.